Another delicious week in the land of tech reviews comes to an end, and the hot products keep on coming. This week we've seen the likes of the Galaxy S3 Mini, the Canon G15 and the Dell XPS 12, a snazzy Windows 8 touchscreen laptop with a difference. Sit back and absorb the week's best gear, and maybe you'll find some inspiration for your Christmas shopping! It's very disappointing because, had this launched alongside the Samsung Galaxy S3, or had the Nexus 4 come in at the same price tag as other phones packed with the same tech inside, we could easily see this being one of the biggest hits of the year. There's no doubt that the Dell XPS 12 is a superb Ultrabook, and it really does challenge the competition in terms of quality and power. 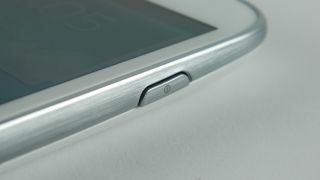 It has a flip-over touchscreen display which folds flat to become a Windows 8 tablet. The build quality, performance and comfort packed into a diminutive 12.5-inch laptop is unrivalled, and anyone looking for a true ultra-portable laptop should make sure they check out the Dell XPS 12. But as a tablet, the Dell XPS 12 is far from perfect. It's too heavy to be held comfortably, and while it's great for presenting or showing off photos, we didn't use it in its converted state as much as we would the Sony Vaio Duo 11 or even the Asus Taichi. But that's not to say that having tablet functionality is not an added extra that enables you to get the best out of Windows 8 when you need it, and that makes the Dell XPS 12 a real heavyweight, in every sense of the word. At first glance, the Canon G15 looks pretty similar to the Powershot G12 which it replaces, but there are a few significant differences. The most notable of these is the stacked or overlapping dials on the top that enable both the mode dial and the exposure compensation dial to be squeezed on to the right side of the camera's top plate. The lens has also seen a bit of a refresh, being the first Canon compact camera to feature an f/1.8 optic. Canon has taken the perhaps unusual decision to remove the articulating screen that was found on the Canon G12 and replace it with a fixed, 3-inch, 920,000 dot version. This makes it more pocketable, but less versatile, and we can't help but feel a little disappointed by it. Make no mistake though, the G15 produces excellent images and will appeal to experienced photographers without alienating those with passion but not expertise.